It Ain’t No Lie it’s No Longer July! This month at Houston Escape Room…..
We had a t-shirt giveaway to every group that guessed our lobby riddle correctly! It was one shirt per team, but it brought a lot of smiles to unsuspecting faces. Also, we will advertise beta testing dates and prices for our brand new Versus room at HER’s Memorial location. Keep an eye on our Facebook page and Instagram for more information! Our team of agents are somewhat splitting up, to operate at both of our locations. They are with us in spirit, and I know they’re only a phone call away. Dearest Memorial location agents, the agents here at the Downtown location will hold down the fort and make you guys proud. The fact that you are reading this blog post is simply amazing to me. 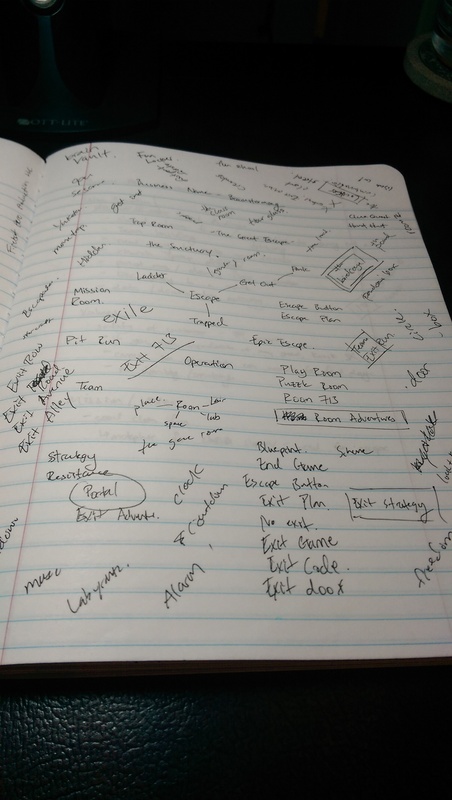 I officially started the journey to launch Houston Escape Room on April 3, 2014. I say officially because that's when I wrote my first entry into my business journal, a prayer for the company. I didn't even know what the name of the business would be at that point. My guess is that if you've found this post, you are an adventurous individual or have adventurous friends or you want to be more adventurous! Right now, we are in the midst of our Trial Run period (May 5 - May 11). We are only charging $5 per customer because the room is still being tweaked, and we need to ensure that the difficulty level is annoyingly perfect. Please use the promocode: "five" if you'd like to schedule a challenge by Sunday, May 11. Please follow us and promote us on Instagram, Twitter, and Facebook!